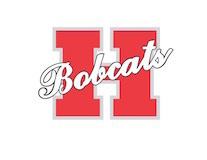 The Hope Public Schools calendar for the 2019-2020 academic year adopted March 11 by the HPS Board almost mirrors the calendar for the current year. Classes in the 2019-2020 school year will begin Aug. 13, the same date as this year, with professional development and planning days set Aug. 5-7. Open House on all five HPS campuses will be conducted Aug. 8. “Early release” days are set for Oct. 2, Nov. 6, Dec. 4, Feb. 5, March 4, April 1, and May 6. Two parent-teacher conference days have been set for next year, including Oct. 17 and March 19. The calendar shows no classes will be conducted the follow day on Oct. 18 and March 20. Classes for the year will end on May 22. Holidays for the 2019-2020 school year will include Labor Day, Sept. 2; Thanksgiving, Nov. 25-29; Christmas/New Year, Dec. 23-Jan. 3; Dr. Martin Luther King Jr. Day, Jan. 20; Presidents’ Day, Feb. 17; Spring Break, March 23-27; and Good Friday, April 10.